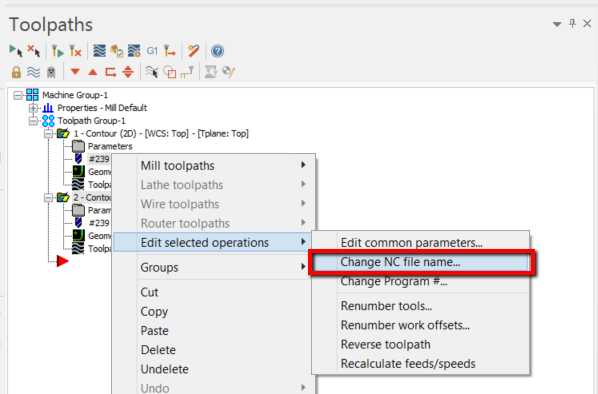 When posting toolpaths, some are outputting to their own NC file. 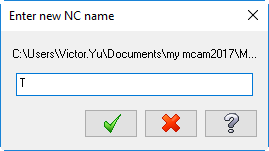 This occurs quite often when the NC file name was accidently modified at the start of creating a toolpath. 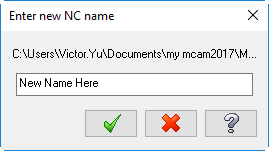 This can be resolved by renaming the NC name for the toolpaths. Select all toolpaths or the ones that are required to output together. To do this, either Select all operations in the Operations Manager, or use standard Windows commands (Shift or Ctrl).